The comfort bypass RR-2500 Secateurs start begin to elevate you into the the professional garden equipment range. 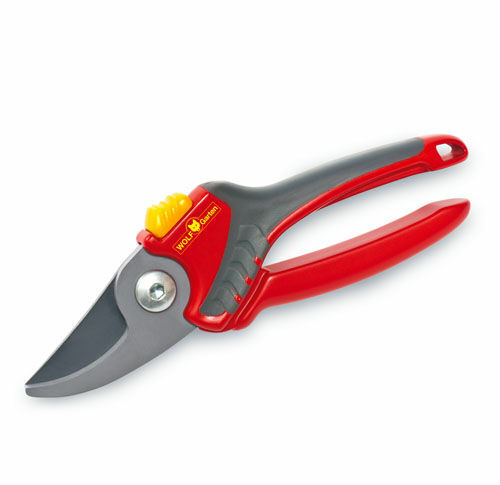 I would consider it a great middle ground between the entry level and elite secateurs. Still equipped with non-stick blades and a comfortable rubber handle design these can cut up to 22mm thickness in diameter! The bypass design means that plants heal quick after being trimmed back too as the cut is a lot cleaner than what is provided with other types of secateurs. These also cut on a 30 degree angle which significantly eases the strain placed on your hands making them a pleasure to use in the garden. They are also precisely tensioned prior to sale to allow to optimal cutting ability! Once again they are also backed by their 10 year guarantee!